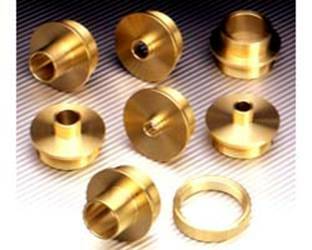 • These guides are made solid brass. • 9 pcs-two lock nuts for all of the above guides. • A: 21/32 x 3/4 x 9/16 "
• B: 17/32 x 5/8 x 9/16 "
• C: 13/32 x 1/2 x 5/16 "
• D: 11/32 x 3/8 x 5/16 "
• E: 9/32 x 3/8 x 5/16 "
• F: 1/4 x 5/16 x 5/32 "
• G: 25/32 x 1 x 3/8 "